Obituary – Kendle, Ralph Ernest “Ernie” « Perry High School Alumni Association, Inc.
Football 46-50, F. F.A. 49-50, Wrestling 46-50. Ralph ”Ernie” Kendle, age 85 of Perry, Oklahoma died Wednesday, July 27, 2016 at the Green Valley Nursing Home. Celebration of Life Services will be held at 10:00 a.m., Monday, August 1, 2016 at the Brown-Dugger Funeral Home with Zac Priest officiating. Burial will follow in the Grace Hill Cemetery under the direction of the Brown-Dugger Funeral Home. The family has suggested memorials to the Disabled Veterans and contributions may be left at the Brown-Dugger Funeral Home. 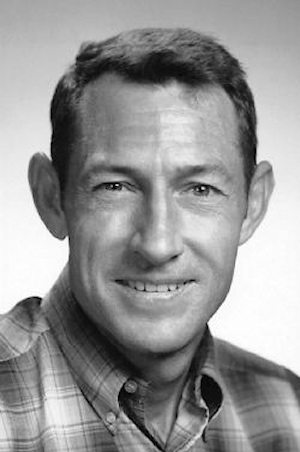 Ralph ”Ernie” Kendle was born October 14, 1930 in Phoenix, Arizona to Otho Lee and Mary Lena (Wygant) Kendle. 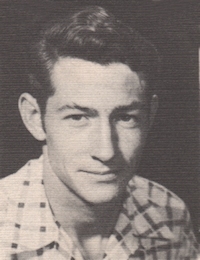 Ernie grew up in Perry, Oklahoma and graduated from the Perry High School in 1951. On September 11, 1950 Ernie entered the United States Navy and served during the Korean Conflict until his honorable discharge on June 30, 1954. On March 8, 1951 Ernie married Bonnie L. Dale in Perry, Oklahoma. Ernie worked for Lucent Technology as a telephone tech until his retirement. Ernie loved to fish and do gardening his fondest memories was watching his boys grow teaching them the know how’s to repair on their toys, bikes, cycle’s and cars, being with his 3 boys during sports, coaching them and listening and of course later his grandkids who are the greatest kids on earth. Survivors include three sons Danny R. Kendle of Glenco, Oklahoma, Garry R. Kendle of Tulsa, Oklahoma and Mark R. Kendle of Enid, Oklahoma; one sister Leona Stickney of Cushing, Oklahoma; eight grandchildren and 9 great grandchildren and several nieces and nephews.